If you are looking for a mini trampoline that offers more than just jumping fun than you should be considering the Diggin JumpSmart Trampoline. This trampoline is a teaching tool, and studies have shown over and over if a child is having fun while they learn they retain the knowledge more. I came across the Diggin JumpSmart Trampoline when I was looking for a unique gift for my niece. The colorful triangle shape grabbed my attention but when I realized that it was electronic and was also a teaching toy I knew I needed to find out more. The Diggin JumpSmart Trampoline has an electronic system that teaches five different groups to children as they bounce. They can learn animal sounds, play memory match, bounce counting, silly sounds and musical statues. It is a great way for children to learn and have fun. The handle bars are uniquely designed to look just like the handlebars on a bicycle, tricycle or scooter. This makes them so much more user-friendly for little kids that may already have the concept of hanging on to the handlebars because of their ride on toys. This trampoline offers a fun learning experience. The electronic learning feature makes this trampoline unique. Parents, aunts, uncles, grandparents all love the idea of being able to buy a toy that is not only fun to use but also teaches as well. The choice of five different fun learning games makes this trampoline a source of continuous stimulation. Consumers love this great learning tool. Children evidently love it as well if you read all the reviews from the thrilled parents and grandparents. Many people recommend the Diggin JumpSmart Trampoline. 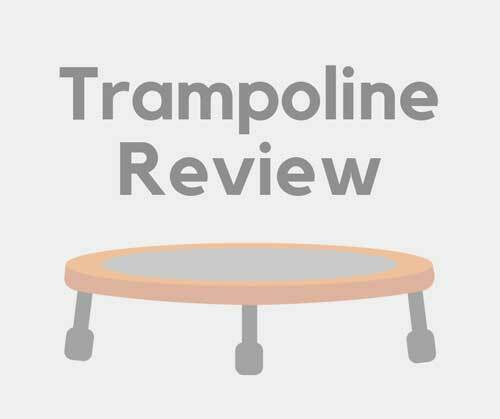 Some reviewers complained about the amount of time it takes to put the Diggin JumpSmart Trampoline together. Assembly should not persuade anyone not to buy this great learning fun center. All the reviewers came to one conclusion, the children use it and love it! It is far too much fun to pass up. There is nothing better than seeing a little kid enjoying themselves EXCEPT seeing one that is enjoying themselves AND learning something new at the same time.